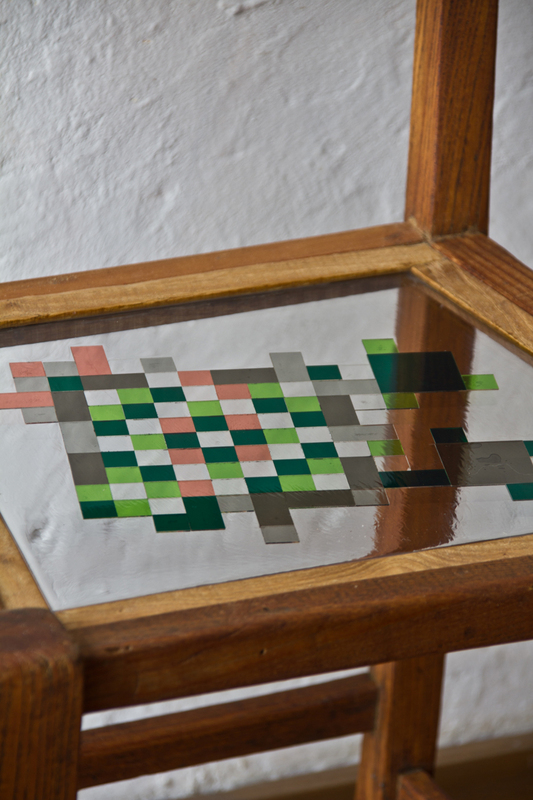 The mosaiced chairs are part of the mosaiced furniture collection that finds its inspiration in the element 'water'. 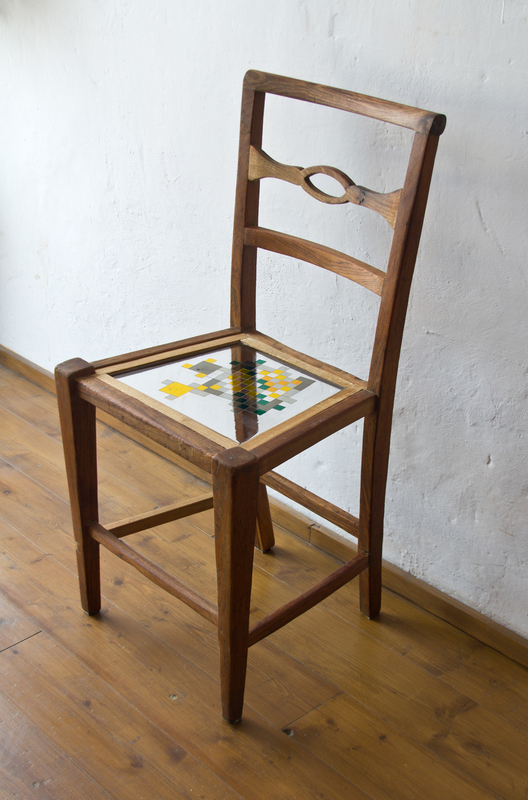 The chairs are made of restored chairs and are lightened through the sitting made of a transparencies. 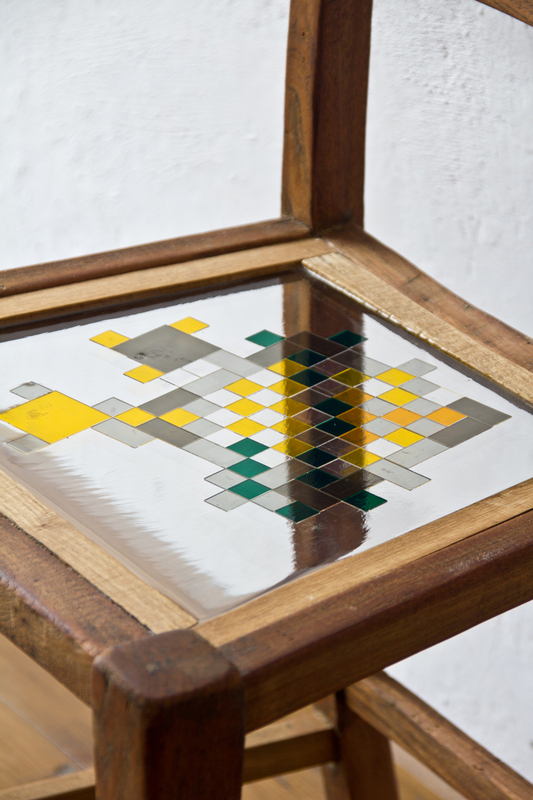 The coloured tiles are immersed in resin and remind the Romanesque period but through a contemporary use of materials. 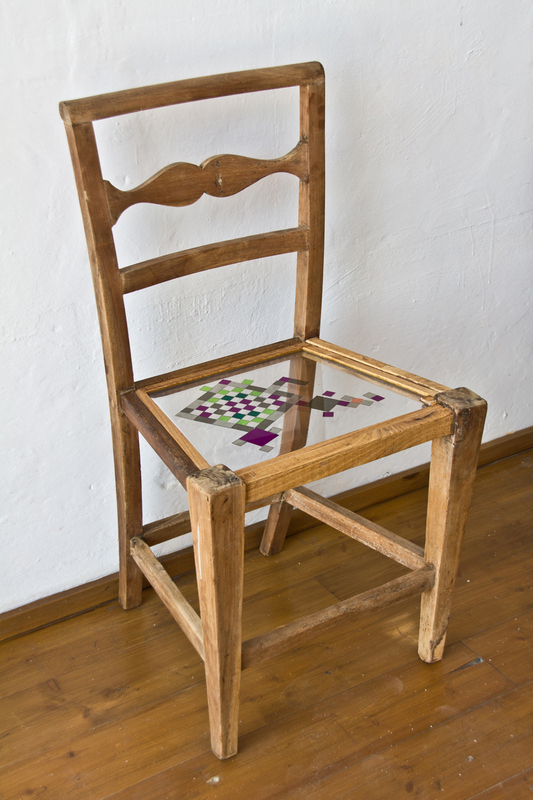 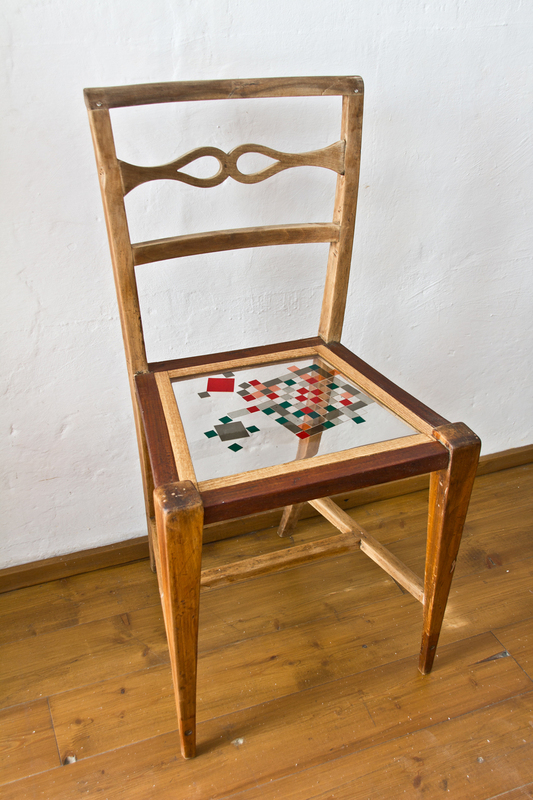 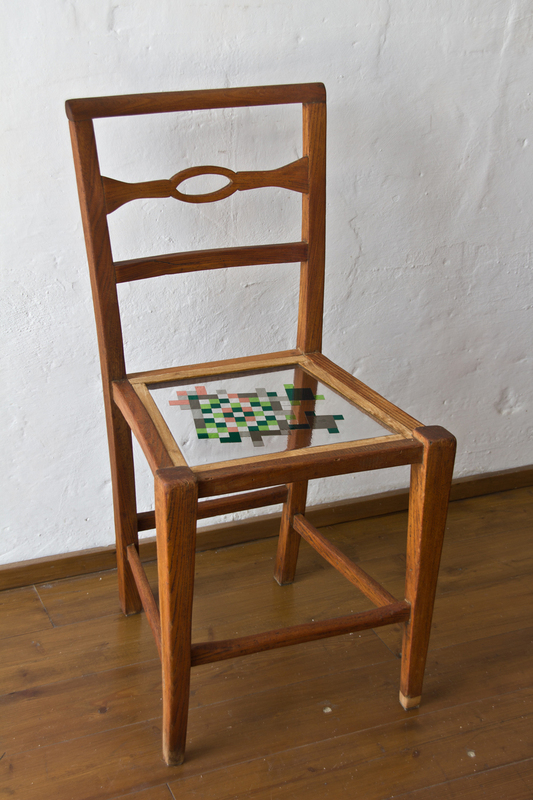 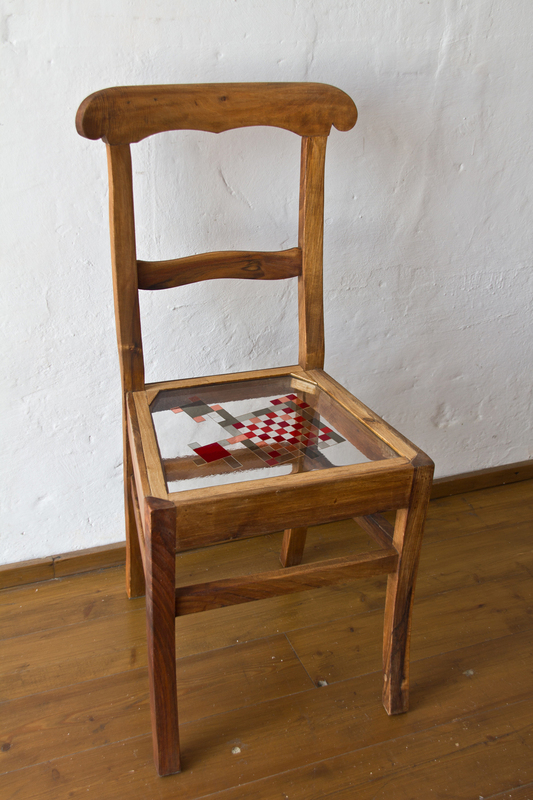 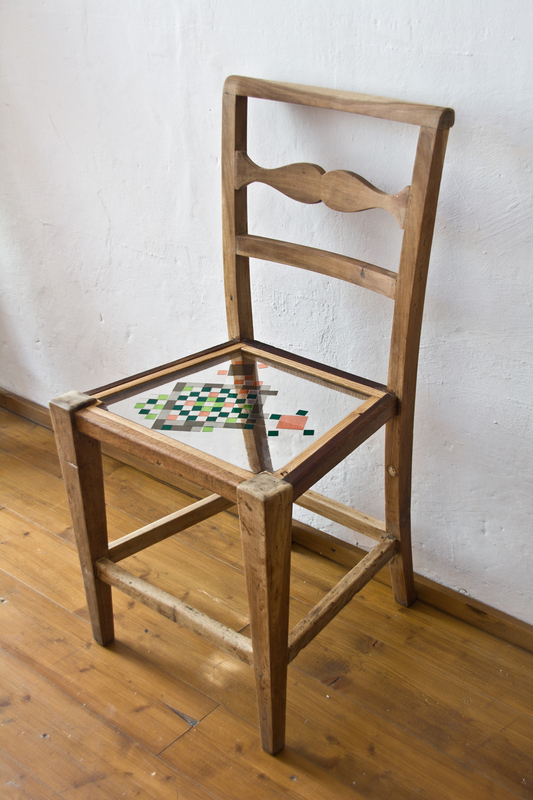 The transparency permits a new way of using antique chairs which makes them even more unique.